Searchers combing a Northern California town leveled by a deadly wildfire stepped up their efforts Sunday ahead of rains forecast later this week in the fire zone where 76 bodies have been recovered so far. The fire that leveled the hillside town of Paradise, population 27,000, and claimed at least 23 lives, roared in so fast that for the first 24 hours, there was no firefight at all — just rescues. 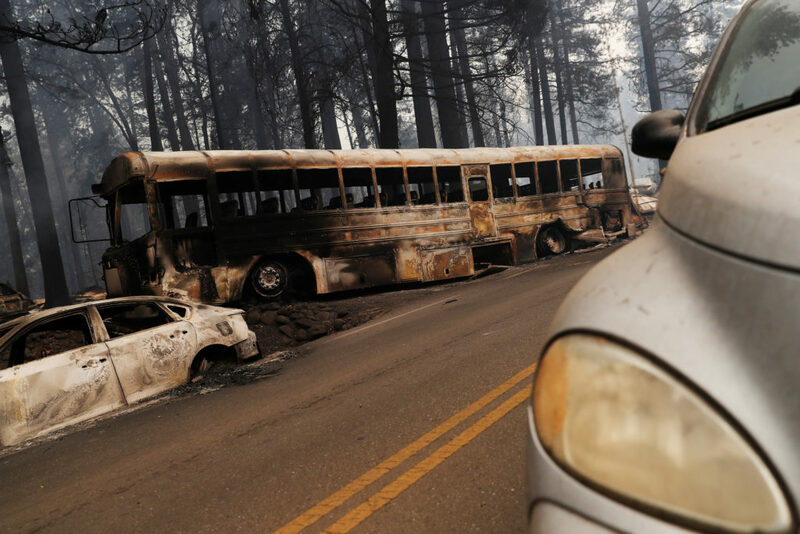 The death toll from another massive fire in northern California has reached 23, bringing the statewide total to 25.